Speed Dial is the best way to get in touch with your favorites in no time. Speed Dial lets you make Call, Send WhatsApp Message, FaceTime audio / FaceTime video call and send message to your favorite contacts insanely quick. Also Speed Dial can be useful in case of emergency letting you make call instantly without having to search for the contacts. 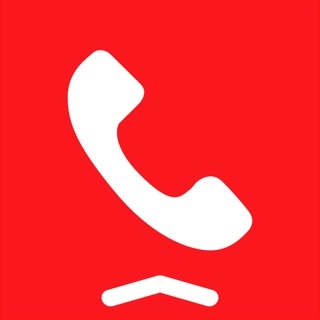 User can tap on the empty Speed Dial Contact cell, phone-book will open. User has to select the desired contact tap on it and tap on the number which user wish to add to the Speed dial page. The default action is tap to call the contact and long press for SMS/iMessage which can also be changed from the setting options. User can set most frequently used contacts on 3D touch to access them faster. Just 3D touch on Speed Dial app icon and user will get options to call as well as to add new contact. English, Hindi, French, Spanish, Japanese, Russian, Hebrew, Arabic, Dutch, German, Chinese (simplified), Chinese (Traditional), Italian, Polish, Portuguese. User can long press on the speed dial contacts to set multiple call reminders with customized notes. This will remind user on specific time along with the note. User can keep it “one time” or can repeat the reminders daily, weekly, yearly. User will be able to set as many reminders as they want for all the speed dial contacts. Notification widget in Today's extension to call and message directly to the added contacts, this works on lock screen as well. Just tap to call and long press to message. Group feature enables to message and mail all the selected group members at once saving a good amount of time. With Quick Group feature, user can assign SMS or mail before hand to access the facility much more faster way.The in-app templates in the Group will help user to type much faster way with the facility to add more templates. ▶▶ Smart T9 Dial pad. 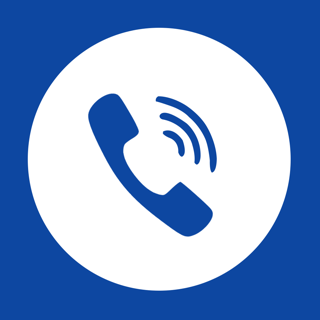 Smart dialer to call any number from Speed dial app. Smart search facility to search your contact book by name and number also one handed dial pad facility. User can select QR scanner on the Smart T9 Dialer or can set WhatsApp, FaceTime Audio or FaceTime Video as a quick access option. QR scanner will directly call if there is any valid phone number in QR code or it will display the data as per QR code. ▶▶ Newly Designed Contact book. Catchy and light UI for contact book. Easy to call and message using swipe feature. Display contact photo directly on list and it will display initials of First name and Last name if no contact photo is assigned. ▶▶ Customize your own Speed Dial Screen using custom background with Blur & Tint facility. Change Speed dial icon shape with Round, Square & Rounded Square. display Speed dial contacts. On tap of any contact user can call and message from Apple Watch. in VCF file and export it to any other device seamlessly. ▶ Add contacts as Speed dial. ▶ Set background with blur & tint effect to make your contact page beautiful. ▶ Easy navigation between speed dial pages via birds view. ▶ Images are automatically added for your favorite contacts if available in contact details, making it easier to find your favorites. ▶ No image for favorites? It will display initials of the contacts First name and Last name with catchy color. ▶ Set your actions for single touch and long press. ▶ Move contact from one page to another by simply using the edit ‘pencil’ button and user will get option on single tap of speed dial contact. -> Long press on Speed dial home button, share Speed dial share link and get OCR scanner free. This is the third speed dial app I’ve used and by far the best. Very customizable with many options. Downloaded this for the Apple Watch compatibility. Did not disappoint. Apple Watch app is very responsive, works quickly and flawlessly. I would like to see it added to complications at some point so it can be accessed from the watch face. I like being able to assign the long press and short press options to what my preferences are. Widget is also easy to use. Menu bar at the bottom and options could be cleaned up a bit maybe moving the premium services to settings and making it the same color as the blue top bar. The developer stands behind the app, with a quick response to any and all questions. I highly recommend this app for anyone looking for a speed dialing. Thank you for listening to us! Although my icons are not as large as they used to be, the names are now visible again! Thank you for removing the extra row of available contacts. I really don't need additional contact space, but perhaps you could go back to providing 2 pages with the original download and those with a zillion friends and family could purchase additional pages. When I had 2 pages, the second page was for doctors. With children and elderly parents this came in handy! I find this app to be essential for quickly accessing my most-used contacts. However, I sometimes feel the app deserves one star for it’s annoying alerts. Suggested rules for sending alerts: don’t send identical alerts or offers more than once a week; don’t send any alert at at 1:45am or 3:30; don’t send more than one alert in a six-hour span. Surely we will take this suggestion and you will see the changes in notification alerts soon. This App and its content is copyright of Pragma Infotech - © Pragma Infotech 2019. All rights reserved.